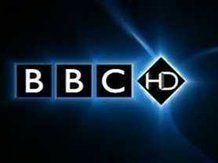 Next season's Formula 1 on the BBC will not be broadcast in HD, with the Director of Sport Roger Mosey confirming on a blog that fans would have to put up with the popular motor sport in standard definition. In a blog post entitled 'Plenty to look forward to in 2008', Mosey talks about the BBC coverage of F1, but it is not until he was asked in the comments of the article that he confirms the lack of HD. "But to BigBadDaveB in #9 and others: F1 won't yet be available in HD though we'd very much like it to be. I'll keep you posted," comments Mosey. Although the blow has been softened by the news that practice will be available through the red button and online, the news will come as a bitter, if not necessarily unexpected, pill to fans of the sport. What Satellite Editor Alex Lane commented: "Formula 1 could be a flagship sport for HD. This is a disappointment to every fan of Formula 1." Formula 1 does its own production for television, which could explain the delay in bringing the sport into HD. But surely its only a matter of time for the sport that has been known to fill IMAX cinemas with people who want to watch the racing in the best possible circumstances (aside from trackside) to finally embrace HD.